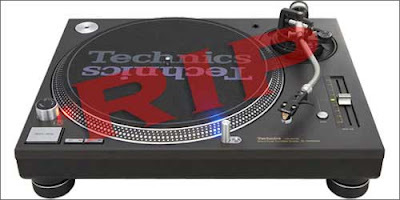 Motion Select: Panasonic's Technics Turntables Discontinued? According to the Tokyo Reporter, Panasonic is pulling the plug on the Technics Turntables that every DJ has used one time or another (I've actually learned to DJ on these). The vinyl purists weren't enough to save analog from the digital age. It's sad to see it go, but then again I haven't used vinyl in quite some time. Especially since vinyl is damn expensive... and heavy.